Even after he has left office, former British Prime Minister Tony Blair’s remarks on the Iraq War are a source of concern. Surely there can be little surprise about his latest opinions on the subject: that Saddam Hussein was going to be removed irrespective of whether he had so called ‘Weapons of Mass Destruction’. War was on his mind, and war was what he wanted in 2003. What Blair’s recent remarks suggest is that whether the weapons of mass destruction existed or not was beside the point. The Iraq Inquiry has been told that intelligence was received 10 days prior to the invasion that Saddam’s weapons had, in fact, been dismantled. In the words of Sir William Ehrman, director of international security at the Foreign Office from 2000 to 2002, ‘We were getting in the very final days before military action some (intelligence) on chemical and biological weapons that they were dismantled and (Saddam) might not have the munitions to deliver it’ (Telegraph, Nov 25). In the broader scheme of things, Iraq ranked somewhat lower than other states in the ‘rogue’ stakes. Iran, North Korea and Libya tended to come first in the chain of urgency. The head of counter-proliferation at the Foreign Office from 2001 to 2003, Tim Dowse, found himself busy analyzing Iran, Libya and the nuclear proliferating antics of the scientist A.Q. Khan. 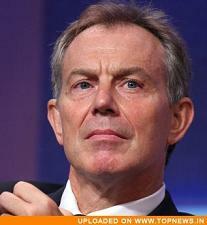 Many of Blair’s supporters have based their arguments on the very existence of those weapons. Bob Ainsworth, who had been deputy chief whip in March 2003, ‘supported the war in Iraq based on the arguments that were put at the time’, the crucial element of them being ‘the existence of WMD’ (BBC Dec 13). Former ex-deputy PM John Prescott differs somewhat, providing some support for Blair’s point hat ‘the man [Saddam] should not be staying there because of the problems in the region’ (BBC Dec 13). Less charitable is former Director of Public Prosecutions Sir Ken Macdonald, who condemned Blair’s sycophancy towards President George W. Bush in participating in the invasion. For Macdonald, such complicity betrayed a colossal flaw, revealing a fatal weakness. ‘This was a foreign policy disgrace of epic proportions and playing footsie on Sunday morning television does nothing to repair the damage’ (The Times). It remains to be seen what will happen from the rest of the Inquiry. The body reeks of musty establishment. Macdonald is quite right to note the less than taxing nature of proceedings so far. Questioning has been ‘unchallenging’ and the chair, Sir John Chilcot, has done nothing to suggest that things might change in 2010. Nor, for that matter, will Blair’s views.